The winners of the Misters of the Philippines 2014 pageant were revealed on September 7, 2014 held at the Grand Theater at University of Makati. Neil Perez of Tondo, Manila was declared Mister International Philippines 2014. Joseph Doruelo of Caloocan City won the title Mister Global Philippines 2014. 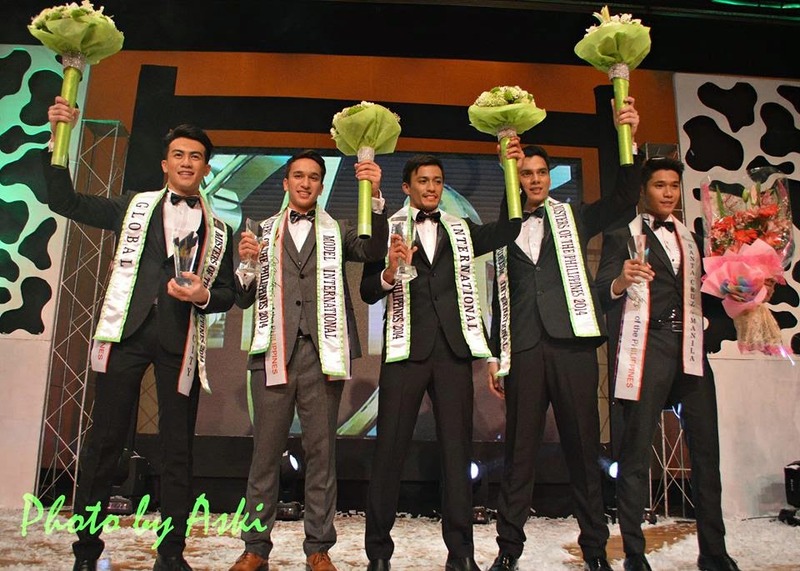 Adam Davies of Filipino Community in United Kingdom was awarded the Mister Model International Philippines 2014 title, while Judah Cohen of Filipino Community in USA won Mister Tourism International Philippines 2014. All 4 will compete in international pageants. Twenty-six (26) gorgeous candidates competed in this pageant hosted by Miss Philippines Earth 2013 Angelee delos Reyes, actor Carlos Agassi, and radio DJ Chico Garcia. Present also was Mister International 2013 Jose Anmer Paredes who flew directly from Venezuela as one of the esteemed judges. Neil Perez will represent the country in Mister International 2014 to be held in Seoul, Korea. Joseph Doruelo will compete in Mr. Global 2014 in Bangkok, Thailand. Adam Davies will vie for Mister Model International 2014 title in Punta Cana, Dominican Republic, and Judah Cohen will compete in the Mister Tourism International 2014 in Panama City. For the intermission numbers, Broadway star Ima Castro sang "Titanium," "Shine," and George Canseco's "Ikaw." Four (4) Fast-Track Awards were given to 4 candidates who were considered the first 4 semi-finalists.